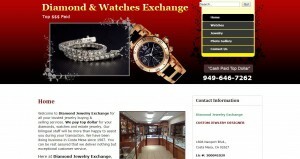 Diamond Jewelry Exchange address, phone, website, and more. We pay top dollar for your diamonds, watches and estate jewelry. Our bilingual staff will be more than happy to assist you during your transaction. We have been doing business in Costa Mesa since 1987. You can be rest assured that we deliver nothing but exceptional customer service. 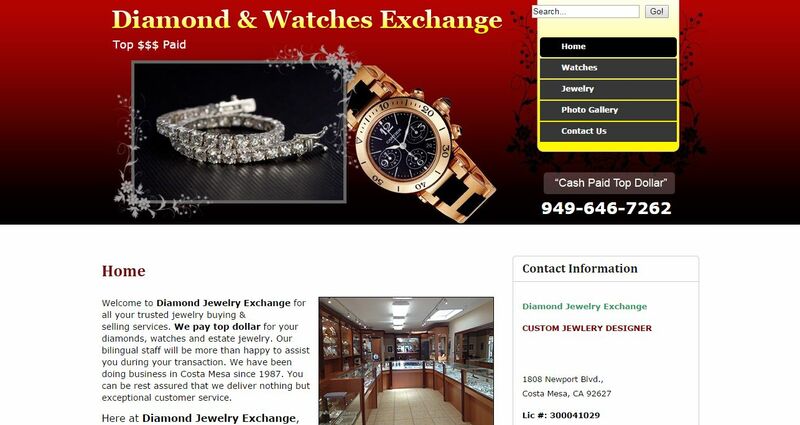 Here at Diamond Jewelry Exchange, we take pride in the reputation we have built by giving the best prices for your precious items. Look no further when you’re thinking of selling or buying diamonds, watches or estate jewelry.